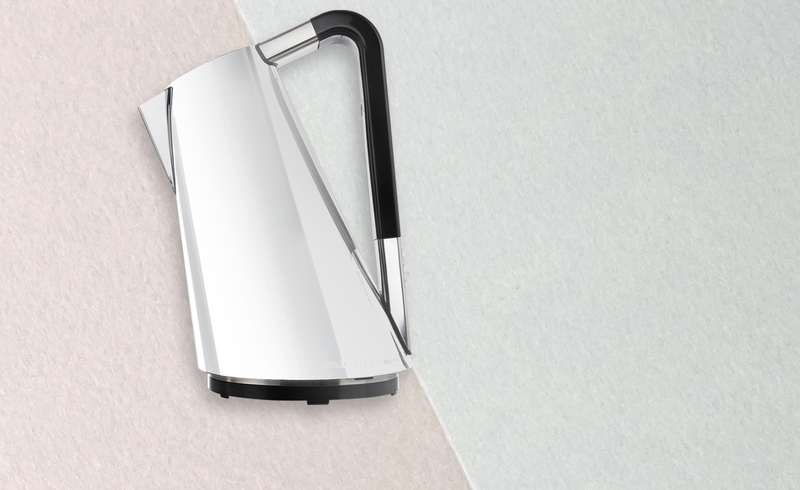 Vera easy is the new version for Bugatti kettle. In the new domestic landscapes, the original design of VERA Easy offers a refined interpretation of the rituals linked to tea, herbal tea and coffee. The volume combines a cone and an ellipse, giving dynamism and character. The base is a discreet sign, with an effect of elegant compactness. Each detail is designed to facilitate gestures. The lid opens by pressing it lightly and the steel body can be removed and rotated 360° in any position.